A smartphone is a handheld personal computer with a mobile operating system and an integrated mobile broadband cellular network connection for voice, SMS, and Internet data communication; most if not all smartphones also support Wi-Fi. Smartphones are typically pocket-sized, as opposed to tablet computers, which are much larger. They are able to run a variety of software components, known as "apps". Most basic apps (e.g. event calendar, camera, web browser) come pre-installed with the system, while others are available for download from official sources like the Google Play Store or Apple App Store. Apps can receive bug fixes and gain additional functionality through software updates; similarly, operating systems are able to update. Modern smartphones have a touchscreen color display with a graphical user interface that covers the front surface and enables the user to use a virtual keyboard to type and press onscreen icons to activate "app" features. Mobile payment is now a common theme amongst most smartphones. Today, smartphones largely fulfill their users' needs for a telephone, digital camera and video camera, GPS navigation, a media player, clock, news, calculator, web browser, handheld video game player, flashlight, compass, an address book, note-taking, digital messaging, an event calendar, etc. Typical smartphones will include one or more of the following sensors: magnetometer, proximity sensor, barometer, gyroscope, or accelerometer. Since 2010, smartphones adopted integrated virtual assistants, such as Apple Siri, Amazon Alexa, Google Assistant, Microsoft Cortana, BlackBerry Assistant and Samsung Bixby. Most smartphones produced from 2012 onward have high-speed mobile broadband 4G LTE capability and touchscreen starting to grow in use more. Samsung is a South Korean multinational conglomerate based in Samsung Town, Seoul. It comprises numerous affiliated companies, most united under the Samsung brand, and is the largest chaebol in South Korea. Samsung was founded by Lee Byung-chul in 1938 as a commercial company. Over the next three decades, the group diversified into areas that include food processing, textiles, insurance, securities, and retail. Samsung Electronics Rises, Samsung entered the electronics industry in the late 1960s and the shipbuilding and construction industry in the mid-1970s; these areas would boost their subsequent growth. After Lee's death in 1987, Samsung split into four business groups: Samsung Group, Shinsegae Group, CJ Group and Hansol Group. Since 1990, Samsung has increasingly globalized its activities and electronic products; in particular, their mobile phones and semiconductors have become their main source of income. As of 2017, Samsung has the sixth highest global brand value. Hardware: Samsung is using Qualcomm Snapdragon 845 CUP with dimensions of 5.8 by 27 by 0.33 inches. Samsung newest device,S9, has a screen size of 5.8 inches with Super AMOLED screen type. The screen resolution of their new device is 2,960 by 1,440 pixels. Pixel per inch is 570 ppi. Camera resolution of 4k total interfaced storage of 64 GB and has external space for additions. The device is running at a price of $719.99 at Samsung.com. The Snapdragon 845 is the first phone with Qualcomm's newest premium mobile chip, which boasts eight cores (four at 2.8Ghz and four at 1.7Ghz). The Samsung features a dual aperture lens that can switch between f/1.5 and f/2.4 based and shooting conditions and combined with multi-frame noise reduction can offer very good low light performance, according to Samsung. It can also capture 4K videos. The Samsung Network uses Qualcomm's X20 modem, which supports up to 1.2Gps speed, along with T-Mobiles new 600Mhz band 71 and every other brand used by US carriers. It is also using Wi-Fi 801.11ac. Apple Inc., formerly Apple Computer, Inc., is a multinational corporation that creates consumer electronics, personal computers, servers and software, and is a digital distributor of multimedia content. The company also has a chain of retail stores known as Apple stores. The main product lines of Apple are the iPhone smartphone, the iPad tablet, the portable iPod multimedia players and the Macintosh computer line. Founders Steve Jobs and Steve Wozniak created Apple Computer on April 1, 1976, and incorporated the company on January 3, 1977, in Cupertino, California. The Apple iPhone X is using an Apple A11 CUP, with dimension of 5.65 by 2.79 by 0.3 inches. iPhone X screen size is 5.8 inches with Super Retina HD screen with resolution of 2,436 by 1,125 pixels and 458 ppi. The phone also come with Dual 12MP Rear/7MP front facing camera. The camera for the iPhone X can record videos in 4K, 1080p, total integrated storage with 64 GB and no additional space for microSD slot. The A11 is Apple’s fastest CUP, six cores with two 2.35 GHz high performance core and four slow efficiency cores. The iPhone X has similar camera like the Samsung S9 with multi-frame noise reduction. The iPhone comes with 960 GHz super slow-monitor video mode. And it can capture 0.2 seconds clips but can automatically detect motion to know when to trigger switch to the mode to record certain clips. The Network in Apple's iPhone 8 and X already lagged the Galaxy S8 model. The price for iPhone X is the most expensive smartphone by far; $999 starting price. LG Corporation formerly known as Lucky-Goldstar, is a South Korean corporation. It's the fourth largest chaebol in South Korea. It is headquartered in LG Twin Towers building in Yeouido-dong Seoul. LG makes electronics, chemicals, and telecom products and operates subsidiaries such as LG Electronics, LG Display and so on, LG has facilities in over 80 countries. LG was formed in 1947 by founder Koo In-hwoi. The LG V30 is the newest device by LG corp. The V30 comes with Qualcomm's Snapdragon 835, with Adreno 540 4GB RAM, the device also weights 158 grams. With display of 6 inches with 2880*1440 P-OLED at 537 ppi. The V30 also comes with Dual sensor camera with 16MP telephoto and 13MP wide-angel back camera, the device also has 5MP front camera. The device is 5.97x2.97x0.29 inches size. The Device comes with 64 GB with more room for upgrading the memory size. The Network used by the V30 is 802.11a/b/g/n/ac Wi-Fi with multiple connectivity. The device can also properly take video up to 4K at 30fpb, 1080p at 30fps and 70 at 120fps. The battery Life in this device is the feature of this device with 3,300 mAh with Quick-charge 3.0 fast charging wireless charger, Qi standard. The price of the device is $750 through LG or other online retailers. HTC Corporation is a Taiwanese consumer electronic company headquartered in Cindian District, New Taipei City, Taiwan. Founded 15 May 1997, HTC began as an original design manufacturer and original equipment manufacturer, designing and manufacturing laptop computers. Although initially successful as a smartphone vendor, competition from Apple Inc. and Samsung Electronics among others diluted its market share, reaching only 7.2% by April 2015. Google is a Subsidiary of Alphabet Inc since the early 2015, it's an American multinational technology company that specializes in Internal-related services and product, which includes but not limited to online advertising tech., search engine, cloud computing and so on, Google was founded in 1998 by Larry Page and Sergey Brin while they were Ph.D. student in Sandford University, CA. The Pixel 2 XL is the latest device from Google with help from both HTC and LG corp. The device has Snapdragon 835 for its CPU. The Device is 6 inches 288x144 pixels with Android 8.0, the rear camera for Pixel is 8MP f/2.4, the Size of the device is 6.2x3x0.3 inches with 6.2 ounces. The device also has 12 MP f/1.8. The OnePlus is a Chinese company founded by Pete Lau and CEO Carl Pei in December 2013. The company officially serves 38 countries and regions around the world as of March 2016. They have released 7 phones, amongst other products. The headquarters for OnePlus is in Shenzhen, Guangdong, China. 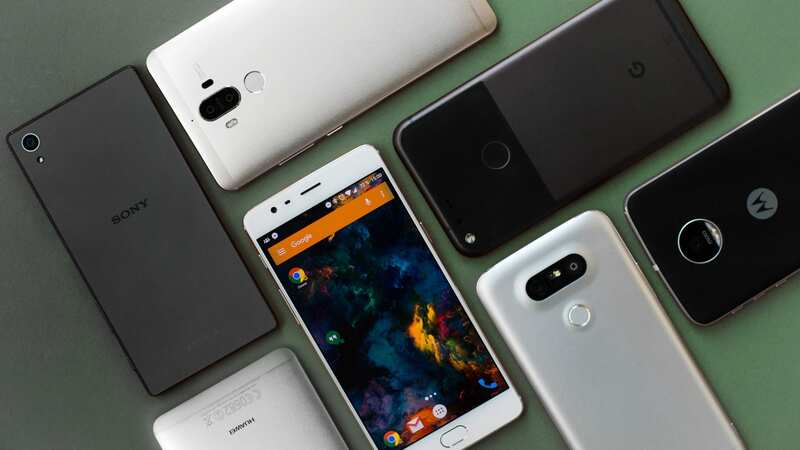 Top 10 Smartphone Companies in the World. "Samsung Electronics Rises to No. 6 in Interbrand's Best Global Brands 2017". news.samsung.com. Semantics is the use of HTML to reinforce the semantics, or meaning, of information in web pages and web applications instead of simply defining its presentation. When processed by traditional Internet browsers, CSS is used to suggest its presentation to human users. CSS is ideal for designing documents. You can access any element, or give it a class name and apply a class name. In terms of what the user sees, a paragraph tag can be made to look similar to a Header tag. If the page has been rendered in the browser, the user does not care if the text is inside a paragrpah or heads a label as CSS style. Section 508, an amendment to the Workforce Rehabilitation Act of the United States of 1973, is a federal law that requires all electronic and computer technology developed, acquired, maintained or used by the federal government to be accessible to People with disabilities. The combination of semantaic markup, 508 Acessibility working ogether will provide users a better experience. Without having semantic markup, it might not be as assessable to those people with disabilities.